For a small country, Ireland has been blessed with some of the world’s best sports people and some of the world’s best sports stories. But there are few greater than Mick O’Dwyer – a national treasure and the most successful manager in the history of Gaelic Football. Harvesting previously untold tales, this natural storyteller brings the viewer on a unique journey through Irish history – from the War of Independence to a modern area of commercialised sport. 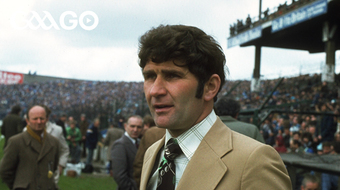 MICKO tells the story of the GAA’s most loved legend, through his eyes and with his voice. All countries except Island of Ireland. GAAGO TV content is available for free to Annual Pass holders only. If you wish to access this content, consider purchasing or upgrading to an Annual Pass.